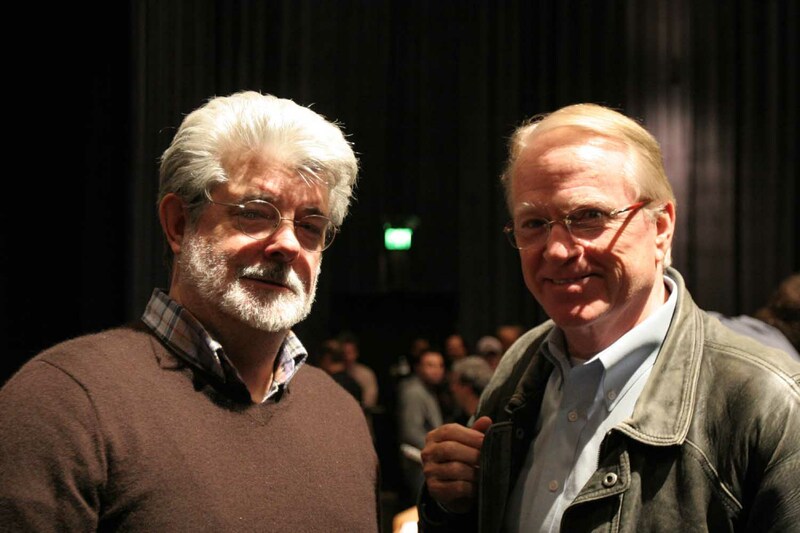 George Lucas (left) and John Lowry. John D. Lowry passed away Jan. 21. Details have not been released, but Lowry was to receive a Scientific and Engineering Award from the Academy of Motion Picture Arts and Sciences at its annual Scientific and Technical Awards presentation at the Beverly Wilshire on Feb. 11. The award – shared with Ian Cavén, Ian Godin, Kimball Thurston and Tim Connolly – was in recognition of the “Lowry Process” which is used to enhance image quality for feature films. The technology was used to enhance images in the three-dimensional versions of movies such as Avatar and Journey to the Center of the Earth. The image processing tools have also been used to preserve NASA’s television footage of the Apollo 11 moon landing. In 1988, Lowry founded Lowry Digital Images which is now part of Reliance MediaWorks.